Dr. Joseph Marra, Dr. Tia Tucker, and our staff of highly trained professionals with extensive experience use only the best tools of the trade to grant us the ability to determine critically accurate prescriptions, as well as diagnosis to prevent and correct any vision issues. Dr. Joseph T. Marra is a 1990 graduate of the Ohio State University where he also did his undergraduate work. His special areas of interest are children’s vision, bifocal contact lenses and ocular pathology. 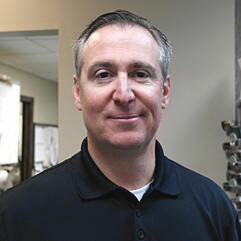 He is a member of the Ohio Optometric Association and has achieved the top certification by the USP.. Dr. Marra has served as president of the Toledo area Optometric Association. He enjoys giving educational lectures on vision to grade school classes. Dr. Marra and his wife, Jennifer, have two sons, Roman and Rocco. In his free time Dr Marra can be found on the golf course. Our opticians, technicians, receptionists, billing and insurance assistants are highly skilled and experienced professionals. They are friendly and courteous individuals that excel in creating a comfortable environment. 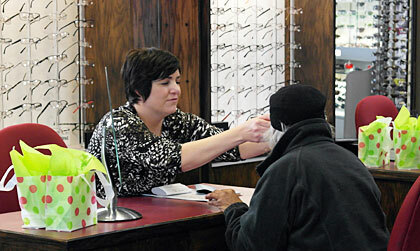 Dr. Tia Tucker is a graduate of The Ohio State University College of Optometry. She completed her undergraduate training at Ohio State as well. After completing optometry school in 2010, Dr. Tucker continued her training as a resident of ocular disease at The Eye Center of Toledo. She is member of the American Optometric Association and Ohio Optometric Association. 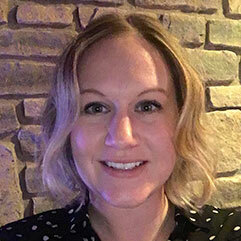 She is originally from Fremont, Ohio and previously worked at Opthalmology Associates of Northwestern Ohio in Maumee. In her free time she enjoys traveling, golfing, playing tennis, and spending time with her family.